the “SD Soul of Chogokin” are actually supposed to be called “DeforMover”. 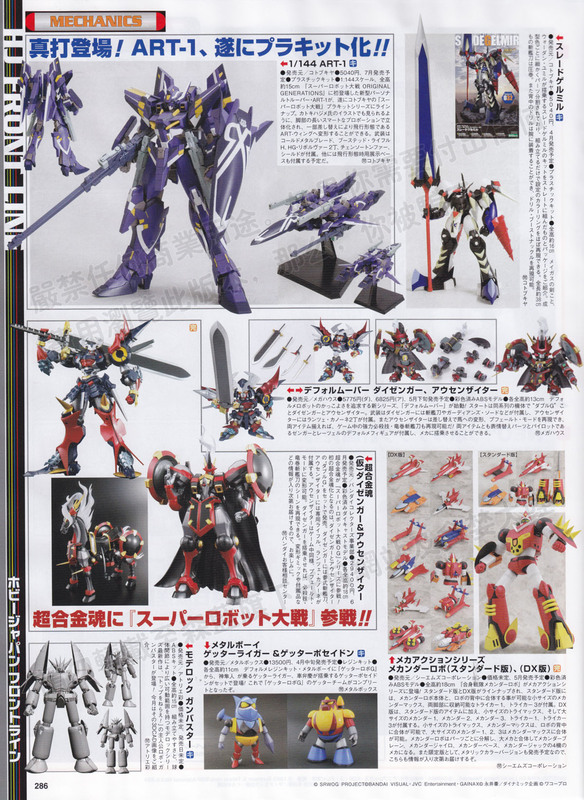 so, Megahouse – DeforMover Daizenger & Aussenseiter. The Gunbuster is a ModeLock figure. It’s assembled and ball joint based, much like the BJMP and Gunshell Guardian/Gunshell Dolls from Atelier Sai. They recently did a few FMP Arm Slaves in this line, one of the robots from Sky Girls, and one of the robots from Idolmaster.